April | 2012 | Ooh, my favorite! 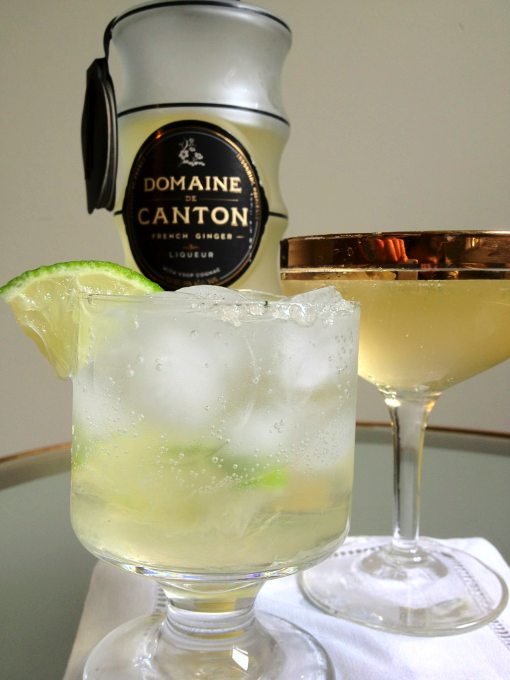 Lately I’ve been deep in cocktail testing mode for the restaurant and have been reading about Domaine de Canton, a ginger infused liqueur distilled from cognac. I was super excited to start playing with it, and with the bottle as lovely as it is I figured I couldn’t really go wrong. Of course, my first test was to try it with champagne. I chose a cuvee brut and added small amounts incrementally hoping to get a nice balance of the ginger with the dryness of the champagne. The problem here was that the sweetness curve rose much more dramatically than the ginger did, so it wasn’t really possible to get the ginger taste I wanted without making it too sweet. While it is aromatic and gingery, the fragrance is just not as exciting or as enticing as St. Germaine; which by the way, I have been referring to as Domaine de Canton’s cousin throughout this process. Next I tried it as part of a vodka soda and still wasn’t able to get it to successfully take center stage. The sweetness overpowered any chance of true ginger intensity to come through. Finally realizing it could best be used as a supporting ingredient I tried a margarita and used it in place of Triple Sec or Cointreau. I thought the salt would be a nice balance against the sweet and perhaps it would serve as a “secret-secondary ingredient”; something that you wouldn’t necessarily recognize but could identify as something special. The margarita application was the best so far, but it was still so far from the fresh gingery cocktail I’d been craving. – It’s far too sweet. The texture has a viscous quality that is more slippery and syrupy; and aside from the initial fragrance, the first, last, and most predominant taste was sugar. Cloyingly so. – While there are hints of ginger in the aroma and taste (and not at all artificial, by the way) it completely lacks that ginger punch and spiciness that, as a ginger-lover, I dearly missed. This is going to be one for many a mixologists arsenal, but I just can’t jump on the bandwagon. As much as I wanted to love it and share some killer recipes, the level of sweetness and lack of true ginger zing limits its applications. Slice the lime in half and from one of the halves slice one small wheel. Cut in half and set aside. Salt the rim of the glass by rubbing half of the lime and dipping into salt. Place the small pieces of lime in the bottom of the glass and add the Domaine de Canton. Muddle gently. Add the Tequila, juice from the lime halves, and top with a small float of soda. Another week just flew by. I don’t know if I’ve ever mentioned it here, but as I’m publishing my “Friday” posts I’m actually starting my Monday at the restaurant. It’s been a few months now that I’ve been able to have two days off, and after a year of craziness I’m just getting used to a weekend (of sorts) again. I know this isn’t an unfamiliar feeling to anyone though, so as many of you are moving into the weekend I say we toast to time away from work, e-mails, cell phones and days filled with all of your favorite things. 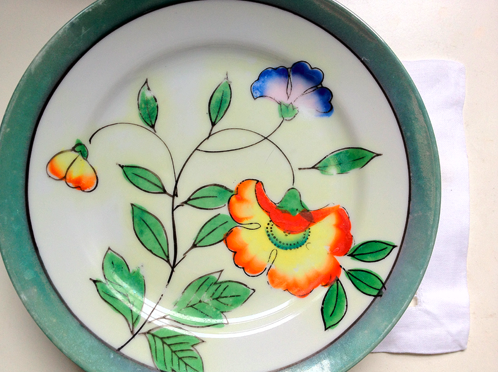 A vintage set of three hand-painted Japanese plates makes for the best snack time; my latest favorite accessory. 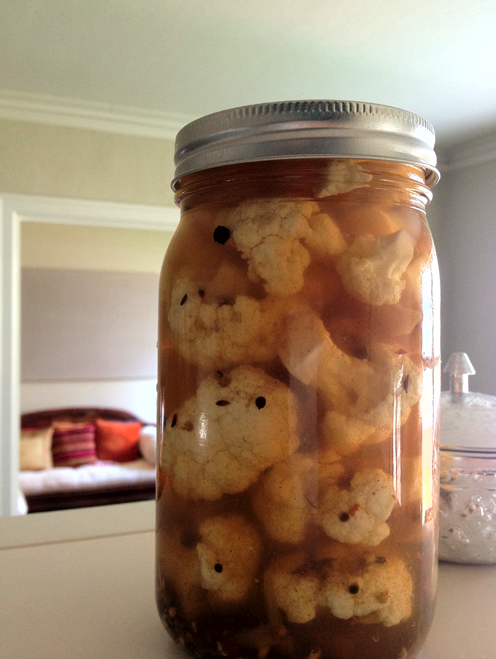 Patiently waiting for these pickled cauliflower to be ready in just one more day. They were a gift from my guy before he left on a business trip and I think we’ll have the recipe perfected very soon (complete with an arsenal of spices)! And way in the back is my new cloth board for pinning. 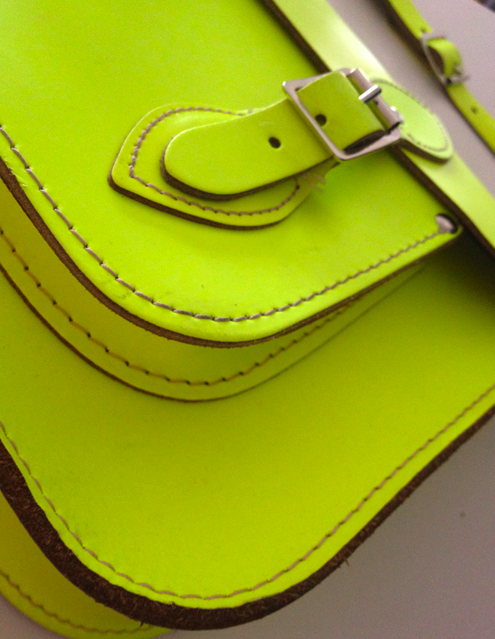 A final farewell to my neon satchel that served me so well this past year. I think it’s time to bid him adieu, and safely retire him to my closet. Maybe I can bring him out again in a few years, you never know. On an innocent browse through Net-a-Porter the other day I was struck by this lovely little number from Prabal Gurung’s 2012 Restort collection. I have a feeling this is a love or hate scenario, but really, isn’t it interesting? So many elements I’d have never thought to combine, and to be honest if you were just to describe it to me I’d say you were schizo. But somehow the bold black and yellow paired with the floral touches, asymmetric lines, dropped-waist sash, and the ruching at the skirt all make for one hell of a party dress. I’ve been noticing lots of black and yellow combinations lately, and if I were a bettin’ woman, I’d say that any form of yellow is a color to start stocking up on. 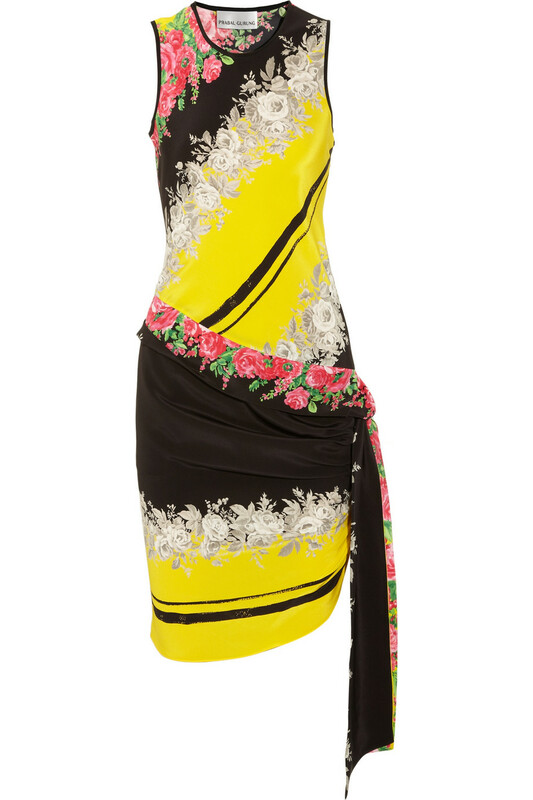 Rose-print silk tank dress, Prabal Gurung. $1,550. Image via Pinterest. 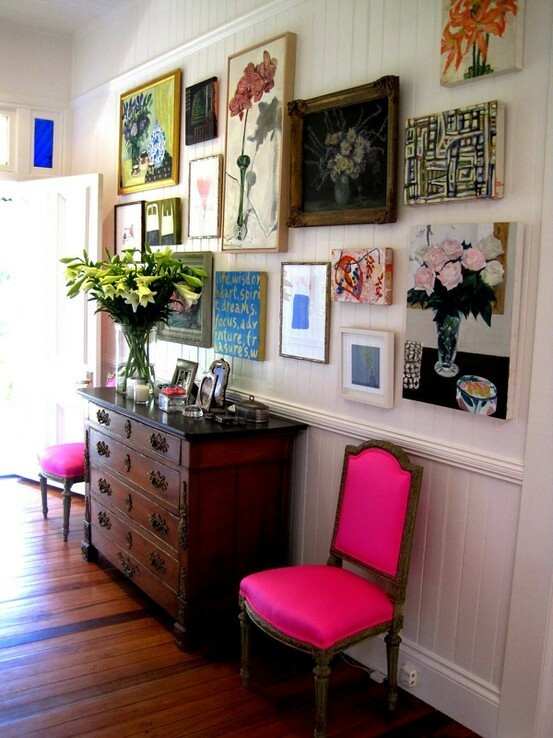 Wish I knew what editorial, I’m dying to see the rest of the house. 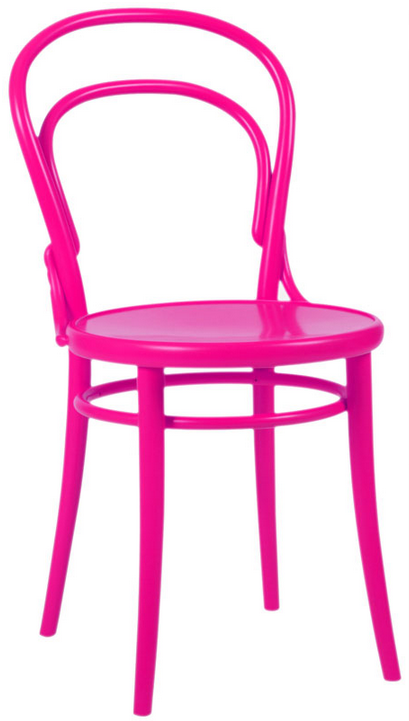 It’s been over a year since I’ve been coveting a hot pink addition in the form of a chair, and yet I haven’t pulled the trigger. It’s not that I’m worried about the color, or it being a trend because those aren’t the reasons I love it. As they are in these gorgeous rooms it’s just so ME. I can’t help it! My big concern is in having it look as punchy, purposeful, and refined as they do here. Initially I kept going back to the Thonet chair from ABC Home. The price isn’t bad, and it’s a great color; but, after seeing these upholstered guys I’m glad I held off. It’s missing the polish of the upholstery and it’s also been plastered in a bunch of shelter mags lately. Decorating is a process, so until it feels just right I’m going to continue to be patient. Over the past few months I’ve become increasingly interested in learning how to work with spices in the kitchen. I’ve always been intimidated by their pep and intricacies, so it’s only recently that I’ve started to appreciate how much depth they can add to a dish. My fascination started after becoming a regular at Sitka & Spruce and only continued to gain momentum as my guy started experimenting with some of his own blends at home. 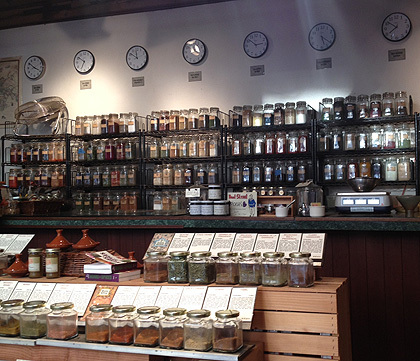 Far beyond the initial intimidation you can feel when working with spices are the endless health benefits. Spices like Turmeric paired with black pepper can inhibit the growth of cancer cells. Paprika, an anti-inflammatory and antioxidant can lower the risk of cancer. Cinnamon used daily can help to lower blood pressure and overall cholesterol in people with type 2 diabetes. With just those few spices promising (yes, promising) healing properties like that it’s no wonder eating a spice-y meal can leave me feeling energized and sometimes even tingly. Seriously! I noticed that quarterly detoxing over the past few years has helped me become more aware of the effects of food on my body. Call me crazy if you want, but it’s a wonderful thing to feel your body being nurtured as you eat. In the coming weeks I’ll be sharing some of our favorite recipes so you can give it a go too, but in the meantime I wanted to show you my favorite place to stock up, and I’ll likely be referring back to it here and there. 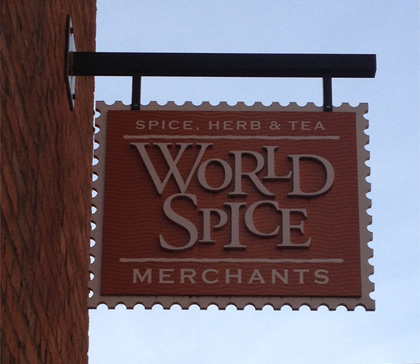 Check out World Spice Merchants. 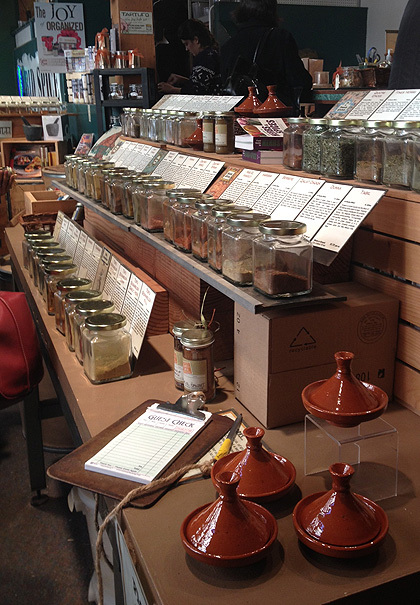 World Spice Merchants is located just “below” the Pike Place Market on Western Ave.
It’s a killer shop filled with the freshest teas, herbs, and spices from all ends of the earth. They’ve also got some great custom blends so be on the look-out for anything that sounds good to you. 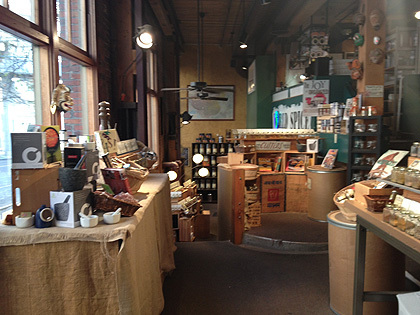 Walk in, browse, smell, ask questions. The spice guru’s are really helpful, and they know their stuff. Who knew there were so many different varieties of a single spice. I had no clue, but it was great to learn about the different types and flavor profiles of cinnamon the last time I was there. 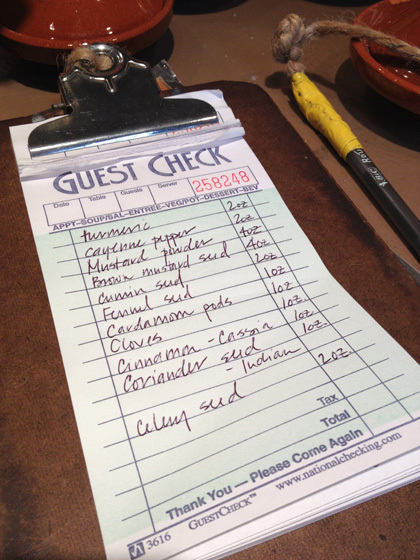 When you’re ready just grab a clipboard and start writing your order. Pass it along to a spice guru and they’ll start filling your order. It’s a sweet set up! I can’t wait to share our early favorites, and while I’m still in the novice stages I like the idea of sharing as I’m learning. 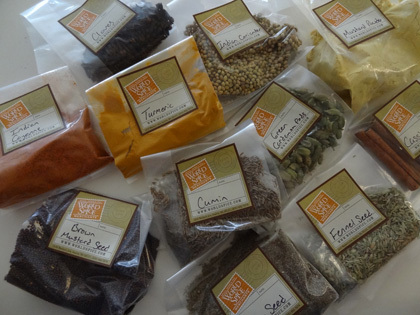 In the meantime, check out World Spice, even if it’s just to poke around. It’s a great addition to a weekend out and about. PS- I should also note that if you’re not Seattle-based you can always order online or call and have them help you place an order to be shipped anywhere. The Space Needle turned 50 on Saturday and in celebration he’s going back to the original Galaxy Gold color that was first used for the World’s Fair in 1962. Isn’t this picture from Facebook is so great. Could you get out there and help paint? 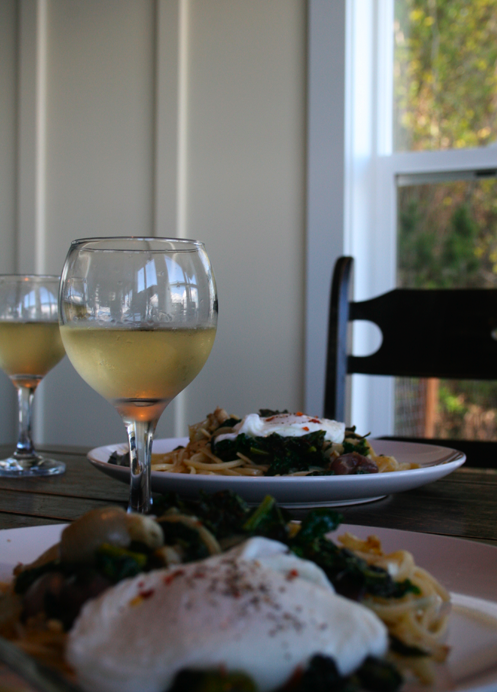 I’m still dreaming of the getaway to Lummi Island last weekend and since I’ve already posted the dinner pictures I wanted to be sure to share some bits from the rest of our stay. It’s most definitely a destination holiday but since The Willows Inn Restaurant and Chef Wetzel have been getting so much love lately I figured there would be some looking for a bit more about the island. Here goes…. Our backyard. We chose this sweet house on the beach on the east side of the island. 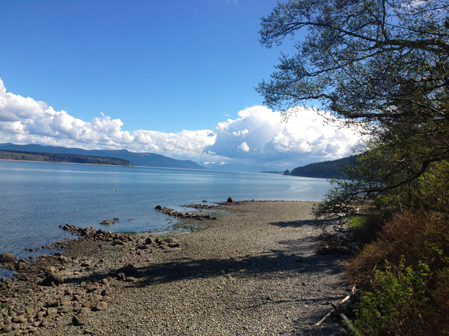 Low tide made for great exploring but here I’m admiring it from afar…from the deck, in my jammies to be exact. When the tide came back in it almost came up to the tree line here, and we often heard a couple of otters splashing around. Lazy night at home. 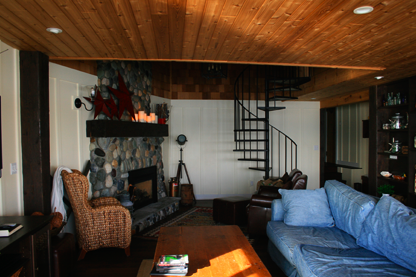 As much as I love a swanky hotel, it was great to have the cabin. And to be honest, we had a hard time finding much information on the rooms at The Willows Inn. We’ll probably give it a go for one night next time, but if you’re interested in this lovely house (complete with a sauna!) let me know and I’ll pass on the contact information. Pasta with poached egg before movie night. There’s something special about making dinner while on holiday. There aren’t any grocery stores on the island right now, so if you’re planning on cooking be sure to stock up in Bellingham before, there’s a great co-op that you can hit up. 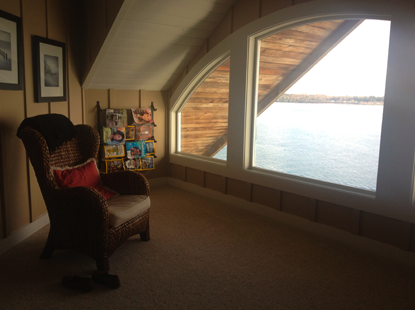 Reading nook in the master bedroom. What a view to wake up to. 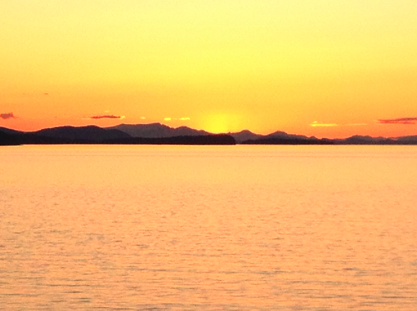 Sunset on the westside of the island, looking out on the San Juan Islands. This was the view from our dinner at The Willows.